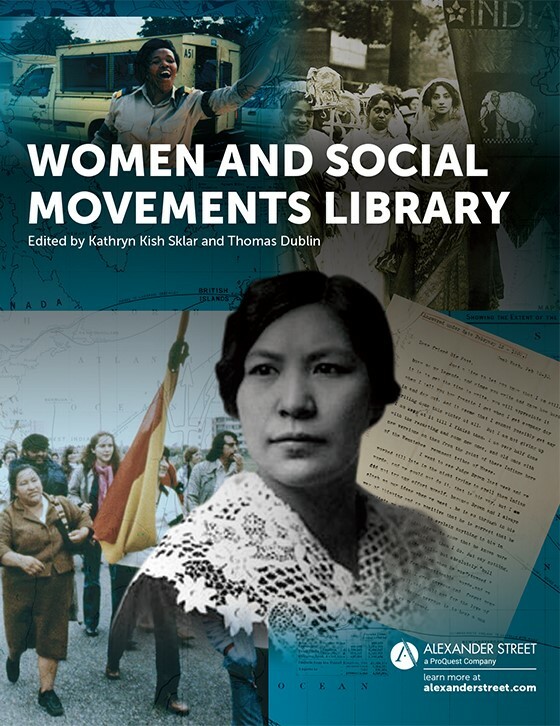 The powerful online content in Women and Social Movements Library allows students and researchers to interpret historical materials in ways not possible in print media. Serving all levels of historical research, the Library makes often inaccessible primary sources accessible within a monographic focus that uses interpretative frameworks to contribute to historical knowledge. Go inside the woman suffrage movement with Elisabeth Freeman … view the 1948 United Nations Declaration of Human Rights with Minerva Bernardino … explore the foundations for the modern LGBTQ movement in The Ladder, published by the Daughters of Bilitis … and read the words of Justina, who joined the armed struggle against the American-sponsored regime in Guatemala in the 1980s.